NB: Some of the information on this page is now seriously outdated. We will attempt to update this information with accuracy prior to January 1, 2019. 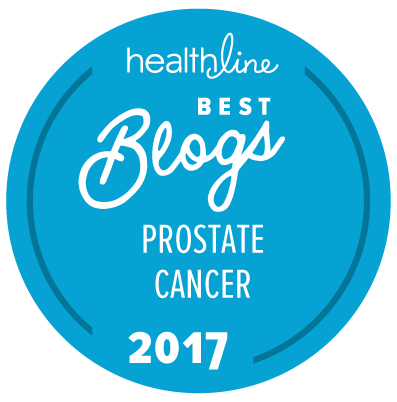 The issue of whether men should get regularly tested for prostate cancer is highly controversial and all too often gives rise to very strong emotions. For some very obvious reasons those patients who have been diagnosed early and successfully treated for prostate cancer clearly believe in the widespread use of “screening.” On the other hand, two large, randomized, but certainly flawed clinical trials have shown that such widespread, population-based “screening” has (at best) limited impact on the long-term, average survival of men in a defined population. People often get confused about the difference between screening for prostate cancer and early detection of the disease. It happens to professionals and to patients. Let’s see if we can help to make the difference clear. Dr Brown, a urologist, wants to find how many men in Brownsville have prostate cancer. The first year — Dr Brown decides that in order to answer his question he will give a free digital rectal examination (DRE) and PSA test to every fifth man over 40 years old who walks past his office on main street on a Saturday morning in May. He then gives a biopsy to every man with either a positive DRE or a PSA level > 2.5 ng/ml. In other words, these men are picked completely at random — except that they must walk past his office and be over 40. This is a true, population-based, prostate cancer screening program. The men have been selected at random from all men in Brownsville that day, and they don’t necessarily even think that they should be having a prostate cancer test. The second year — A screening program like the one he does in the first year takes a lot of effort, so the next year Dr Brown decides just to offer a free DRE and PSA test to any man over 40 who comes to his office on the same Saturday morning in May and asks to be tested, and then to biopsy the men according to the same criteria as in year 1. So he puts an ad in his local Brownsville newspaper. This year, the people who get the DRE and the PSA test have selected themselves for some reason. Maybe they just think its time they had a PSA test. Maybe they have had to get up a few times too often in the middle of the night. Maybe their wife told them it was high time they had a prostate cancer test. Or maybe they just thought that they’d have the tests while they were free. Some physicians now call this case finding. It certainly isn’t a true screening initiative, because the tests aren’t being given at random and the men who get the tests have selected themselves. The third year — Finally, the third year, Dr Brown decides he isn’t going to give anything away for free. Instead, he will encourage every man over 40 who comes to his office to have a DRE and a PSA test, regardless of their symptoms. His justification for this is that if they have come to see him — a urologist — there is good reason to think that they may have a urological disorder, including prostate cancer. This is true early detection. In other words, Dr Brown is going to do his best to find prostate cancer in any patient who comes to see him, but he isn’t going to go out of his way to look for patients with the disease. There is now some good information to suggest that mass, population-based screening for prostate cancer can make a difference to how long men in a defined population will live if they are all regularly tested for prostate cancer. Studies completed in the Tyrol region of Austria and in King County, Washington in the USA provide evidence for the possible benefits of population screening. Having said that, the recent results of the Prostate, Lung, Colorectal and Ovarian (PLCO) cancer screening trial in the USA and the European Randomized Study of Screening for Prostate Cancer (ERSPC) in Europe both suggest that, while population-based screening for prostate cancer may be able to make a small difference to overall mortality from prostate cancer, this reduction in mortality may also come at a high cost in terms of the over-diagnosis and over-treatment of men who have forms of prostate cancer that are unlikely to ever be clinically evident. about the pros and cons of prostate cancer screening. What is truly sad, however, is the inability of the various factions within the medical community to put aside their relatively trivial differences and issue one, simple consensus statement for patients about the testing of individuals for risk for prostate cancer. This failure to recognize the utter confusion of patients on this issue is a sad comment on the divisions within organized medicine. It will, perhaps, never be resolved until we can clearly identify a much better way to test for clinically significant prostate cancer (cancer that places a man at individual risk for progressive disease that may lead to metastasis and prostate cancer-specific death). In fact, what the American Cancer Society is now saying is arguably not that different from what they have said for several years — which is that any man who wishes to be tested for his risk for prostate cancer should do so only after an individual discussion of his personal risk with his primary care physician. If this was all they had in fact said, the “New” Prostate Cancer InfoLink would not have a problem with the new ACS guidance. However, they made a number of other statements in their guidance which are distinctly questionable, specifically including reference to the appropriateness of 4.0 ng/ml as a “cut-off” value for referral for a biopsy and the idea that a digital rectal examination is “unnecessary” as part of regular testing for prostate cancer risk. The “New” Prostate Cancer InfoLink is increasingly puzzled by what the ACS seems to consider its mission to be. In recent years the ACS seems to have become a great deal more motivated by raising money to fund research than it is by the idea of helping individual patients to get truly sound and understandable information. We are all in favor for funds for cancer research … but the primary intent at the end of the day should be to help patients, not just fund research! Recommendations of the US Preventive Services Task Force — In the most recent (August 2008) revision to its guidelines on prevention of prostate cancer (published before the results of the PLCO and ERSPC trials were available), the US Preventive Services Task Force (USPSTF) had indicated that “the current evidence is insufficient to assess the balance of benefits and harms of prostate cancer screening in men younger than age 75 years” and that “The USPSTF recommends against screening for prostate cancer in men age 75 years or older. This does not mean that men with possible symptoms of prostate cancer should not be tested. It does mean that a large sector of the medical community still does not endorse annual PSA tests and physical examinations for asymptomatic males. Given the uncertainties and controversy surrounding prostate cancer screening in men younger than age 75 years, a clinician should not order the PSA test without first discussing with the patient the potential but uncertain benefits and the known harms of prostate cancer screening and treatment. Men should be informed of the gaps in the evidence and should be assisted in considering their personal preferences before deciding whether to be tested. Recommendations of the American College of Physicians — The American College of Physicians (one of the largest organizations of primary care physicians in the US) published a series of detailed articles on prostate cancer in the Annals of Internal Medicine in early 1997. However, they have not updated their recommendations for 12 years. In a chart that is provided with this guidance document, the AUA further suggests that for well-informed men who believe they are at specific risk for prostate cancer, testing should be initiated as early as 40 years of age. … the current policy no longer recommends a single, threshold value of PSA which should prompt prostate biopsy. Rather, the decision to proceed to prostate biopsy should be based primarily on PSA and DRE results, but should take into account multiple factors including free and total PSA, patient age, PSA velocity, PSA density, family history, ethnicity, prior biopsy history and comorbidities. Should You Have Regular Prostate Cancer Tests? How hard must we then search to discover whether a particular patient actually has prostate cancer? Does that patient have clinically significant prostate cancer that needs treatment? How should we treat his disease if and when we find it? An option that some men consider is annual DREs without PSA testing. While there is a good chance that such tests will allow an experienced urologist to detect clinically significant prostate cancer, it is also true that by the time a DRE becomes a certain indicator of probable prostate cancer, it may not be possible to apply potentially curative therapy with confidence. The single most important message of this statement is that prostate cancer testing is an individual decision that patients of any age should make in conjunction with their physicians and urologists. The “New” Prostate Cancer InfoLink encourages you to talk frankly with your primary care physician about this, as well as with your urologist if necessary, and to make your decision only when you feel comfortable and “well-informed” about it. Prostate cancer is an important health problem, but the value of mass, population-based screening is not yet satisfactorily proven to affect mortality. Although as many as one in six men may be diagnosed with prostate cancer in their lifetimes, this means that five men in six or 83.3 percent will not. Having cancer cells in one’s prostate does not necessarily mean that you will ever have any clinically evident signs or symptoms of the disease. Early detection and treatment clearly does reduce the morbidity and mortality associated with clinically significant and progressive prostate cancer. The decision to undergo testing of risk for prostate cancer is a highly personal decision that should be taken with the best advice and guidance available. Digital rectal examination and PSA measurement can have both false positive and false negative results. The probability that further invasive evaluation will be required as a result of DRE and PSA testing is relatively high. A small but finite risk for early death and a significant risk for chronic illness, particularly with regard to sexual and urinary function, are associated with all invasive treatments for prostate cancer. Another issue that presents challenges remains the relevance of testing for prostate cancer in men over the age of 75 years. Proposals for how to address this issue were put forward in the so-called “Iowa Prostate Cancer Consensus” in 2008. The “New” Prostate Cancer InfoLink continues to believe that the Iowa consensus is a sound and patient-focused way to address a complex and emotionally problematic issue. Content on this page last reviewed and updated December 12, 2018.